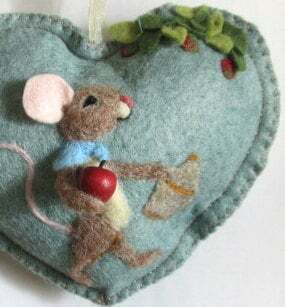 William Tell mouse is looking for a nice tree to sit so he can sit in the shade and enjoy his apple. 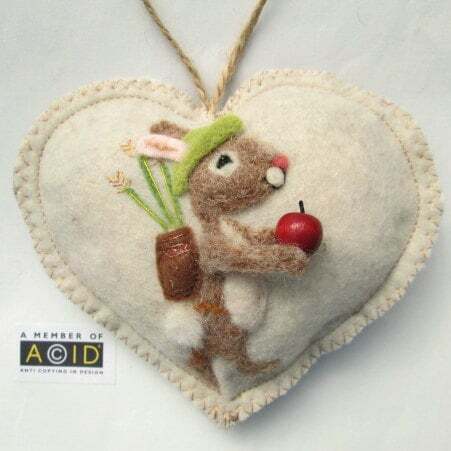 William the needle felted mouse has a cheerful smile, 3D arm, ear and apple. 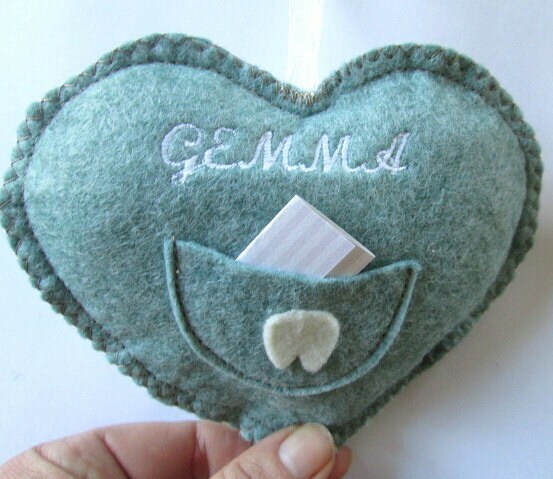 The heart can be scented with lavender, cinnamon or left scentless. On the back there can be a small notlet pocket for a message of your choice or a larger tooth fairy pocket, just let me know which you would prefer when ordering. Happy 1st Birthday, Good Luck, Congratulations, For a special friend, Thank you, with love .......be inspired! 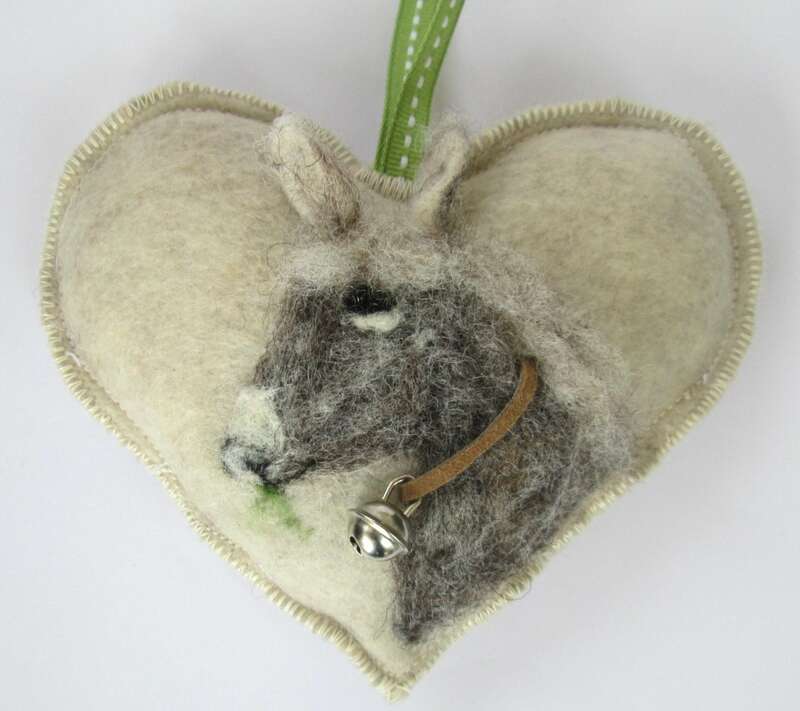 He is made with Somerset and Scottish wool. 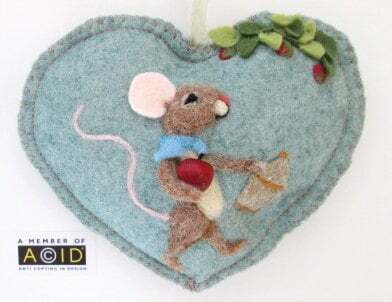 If you would prefer a 'she' mouse let me know.